Today I'm delighted to welcome author Michael Robert Dyet to my blog. Michael is a marketing professional with over 30 years’ experience in marketing and communications including trade show salesmanship, and he's kindly offered to share some information for authors on how to be successfully visible. These are lessons I certainly need to learn... especially the "But what if nobody comes?" one. So, if you've ever considered the need for a public appearance, read on! Getting the word out about your book and generating sales requires that you are visible. Book reviews, social media posts and media coverage are all part of the equation. But nothing can substitute for readings at libraries or appearances at bookstores and art salons. Some authors have the good fortune to be performers by nature and are comfortable with appearing in public. Others are introverts who get the jitters when faced with the prospect of doing a reading. Knowing how to prepare and how to take control in these environments can help in overcoming stage fright. Even authors experienced in this area can improve with the right tips. 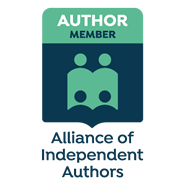 One of the biggest fears authors face is: What happens if nobody comes? Normally, the host organization or venue will promote your appearance via their communication channels. But unless you are a recognizable name, their efforts alone will not assure you of bums in seats. You will need to announce the event on your social media sites, including a Facebook event invitation, a week or two ahead. It is also advisable to develop an e-mail contact list and announce your appearances to these contacts. Note: If you are in Canada, be sure you have express consent to communicate with all the contacts on your e-mail list to ensure you comply with Canada’s Anti-Spam Legislation (CASL). MailChimp is a good option for a relatively simply program to execute your e-mail announcements. Trust me – if a technology-challenged Baby Boomer like me can figure it out, you certainly can! And, of course, talk up the appearance among your friends and coworkers. Nothing beats word of mouth advertising. When you are interacting with potential buyers in public, you have a very small window within which to capture his or her attention. You need to be able to quickly convey what your book is about and why it is worth purchasing. The secret to success here is to craft an elevator speech. An elevator speech is a clear, brief statement of what your book is about. It should be 30 seconds or less in duration or roughly the time it takes to ride in an elevator from the ground to the top floor of a building. Here is my elevator speech for my latest work Hunting Muskie: Rites of Passage – Stories by Michael Robert Dyet. The stories in Hunting Muskie are about the search to find our way back home after the unexpected storms of life knock us off course. Each story reflects that deep need to return to where we feel at peace. The journey back becomes a rite of passage. The title story, Hunting Muskie, sets the tone – the hunt to find and subdue an unseen foe. The opening novella-length piece, Slipstream, ties together the connecting threads: the powerful forces that derail us, how we are driven to search for answers, and the harsh truth that redemption often comes at a price. The stories that follow elaborate on that that theme. Arming myself with this elevator speech, which I know by heart, gives me confidence when I appear in public. If you remember only one thing from this article, let it be this fact: Every appearance you make in connection with your book is in fact a performance. How your audience perceives you and rates your performance will form preconceptions of your book that are hard to undo if things go wrong. The day before your appearance is critical to preparing yourself mentally. If possible, schedule it to be a quiet day. Audiences will know if you are stressed or running on empty at your appearance. Rehearse your elevator speech and/or the piece you will be reading so you are intimate with both. Insider Tip: Never change your mind at the last minute on what you are going to read or talk about. I did that once – a lesson learned the hard way. Leave extra travel time on the big day in case you are delayed along the way. Arriving late leaves a bad impression with the host, and any guests who showed up on time, and puts you in a stressed state of mind which impacts your ability to perform. Whatever the nature of your public appearance, consider yourself to be on stage from the moment the event begins. You want to create a positive impression and that begins the moment you are first seen. Why would I be interested in engaging with you if you are not interested in engaging with me? Let people know you want to engage with them. Stand in front of your booth or table and be active in greeting approaching guests. You will need to arm yourself with an icebreaker question to attract people’s attention. It can be quite simple. For example, at my recent Chapters-Indigo appearance, I simply asked: Are you a fiction reader? It served the purpose of breaking the ice and qualifying the person at the same time. You will need to read body language as people approach your table or booth. I have identified four personality types each of which requires a specific tactic. Leave Me Alon-ers: Body language: a scowling expression, shoulders hunched and moving fast. Their message is: I am here for a specific purpose and it does not include you. Let these people be on their way. Save your energy for better prospects. Please Not Me-ers: Body language: fearful expression, eyes averted and often angling away from you. Their message is: Please do not try to sell my anything. If you can make eye contact with them, simply smile and wish them good morning or good afternoon. If they seem to respond, drop your icebreaker question. If they wince and turn away, let them go. I Could Be Convinced: Body language: pleasant expression, unhurried demeanour, they are where they want to be. Their message: I could be convinced to be interested in you if you make the overture. Establish eye contact, smile, greet them warmly and drop your icebreaker question. Insider Tip: Be aware that some of these people may come back later. In my recent Chapters-Indigo appearance, one young couple walked out the door and came back in a few moments later. They had decided they wanted to support me and buy my book! Its’ So Cool That You’re Here! : Body language: similar to the “I could be convinced” group, but will often initiate eye contact. These are your best prospects. They are intrigued by the fact that you are there. Greet them warmly, use your icebreaker question and be prepared to give your elevator speech. Very often you will make a sale with this group. If not, thank them and offer your author business card. Your best opportunity to sell copies of your book is often at prearranged author readings. The people that show up are predisposed to buy. But you need to make a good impression to close the deal. Select excerpts for your readings that have drama (or humour where applicable) and read well in a spoken voice. Dialogue works well, particularly if you are able to give each character a distinct voice. Insider Tip: Your favourite excerpt or story may be engaging to read but does not always translate well to the spoken voice. Be objective in making your selection. Rehearse your reading a few days in advance so you can plan how you will act out the piece and to get the timing down. If you are told you have twenty minutes, stick to it. You will not get invited back to read again if you spill over into someone else’s designated time. Prepare a short introduction for each piece you will be reading to set the context. Two or three minutes should suffice. Avoid the trap of expounding too much on how you came to write the story. It may be interesting to you but less so to the audience. When you arrive home from the event, take a half hour to do a debrief on how things went and identify areas for improvement. Did your icebreaker question work? Did your elevator speech work? If not, rework them based on the experience. Did the excerpt you selected to read go over well? Was it the right piece for the audience? Did your performance go well? How can you improve it? What can you learn from other authors who were at the event? Was the host pleased? You always want to keep the door open to be invited back. And finally, how many books were you able to sell? If the group applauded your reading but no one stepped up to buy, they are only tire-kickers. You probably will not want to go back to that venue. In summary, remember that your appearance is in fact a performance. Do the upfront work – develop your icebreaker question and your elevator speech – to prepare yourself. Learn to read body language and what it conveys. Think hard about the excerpts you choose to read. Kick into performance mode when you step on stage. And finally, de-brief yourself after each appearance. Public appearances can be nerve wracking. But presenting ourselves well is a necessary component of success as an author. The old adage is true: You never have a second chance to make a first impression. Preparing properly and following a few best practices go a long ways toward make the process easier. Michael Robert Dyet is the author of Hunting Muskie, Rites of Passage – Stories by Michael Robert Dyet. Available Online from Amazon, Chapters Indigo or Barnes & Noble. His debut work Until the Deep Water Stills – An Internet-enhanced Novel was a double winner in the Reader Views Literary Awards 2009. Michael is also a marketing professional with over 30 years’ experience in marketing and communications including trade show salesmanship. Life becomes a search to find our way back home after unexpected storms knock us off course. This collection of 16 stories reflects that deep urge to return to where we feel at peace. The journey back becomes a rite of passage. 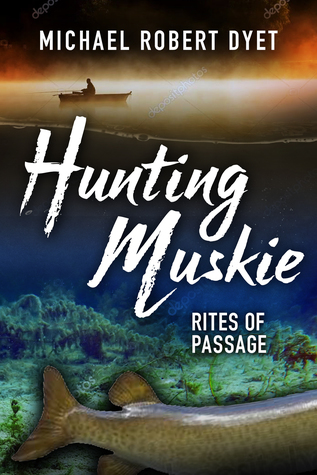 The title story, “Hunting Muskie”, sets the tone – the hunt to find and subdue an unseen foe. Each of the other stories elaborates on this theme. The longer piece, Slipstream, ties together the connecting threads: the powerful forces that derail us, how we are driven to search for answers and the harsh truth that redemption often comes at a price. “Go big or go home,” Norman declared, as he rigged his eight inch Lil Ernie Deep Diver. Norman had hooked into a huge muskie in exactly this spot a few summers earlier. He had battled it for ten minutes before it spat the lure and escaped. Tom watched as Norman cast his Lil Ernie far out along the rock ridge that ran below the surface. He cast his own line on the other side of the boat as the look in Arianna’s eyes flashed in his mind again. Norman made the announcement as he cast his line a second time. A wave of guilt assaulted Tom. He had become too absorbed in his own life, and its fraying edges, to see that his father’s life was unraveling to the end of its spool. Norman reefed back hard on his pole. It bent like a bow as line went screaming off the reel. “Do you think?” Tom asked, reeling in as fast as he could. Norman cranked hard on his reel to make up ground. The muskie started another run, dead straight for thirty feet. It broke the surface, erasing all doubt, in a majestic, gravity-defying leap. Norman glanced at Tom with a grin on his face even as he winced at the effort. Tom saw his father’s life, and his own, in a new light. Muskie were the stuff of legend—the fish of ten thousand casts. You could go your whole life without hooking one. But when you did, and the hook was set deep, a muskie would always claim the dignity of fighting to the end. Folle Avoine. Steeped in history, witness to the fall of one culture and the rise of another, too wild to be bridged, too maternal to give up her dead. As good a place as any to bow out gracefully, Tom decided, and, for that matter, to start anew. Michael Robert Dyet is the Metaphor Guy. Novelist, short story writer, closet philosopher, chronicler of life’s mysteries – all through the lens of metaphor. 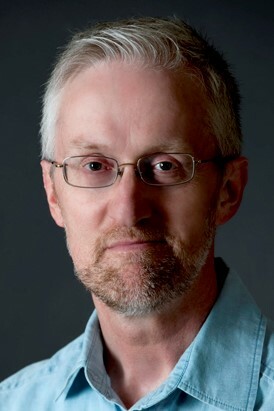 He is the author of Hunting Muskie: Rites of Passage – Stories by Michael Robert Dyet, Blue Denim Press, October 2017.